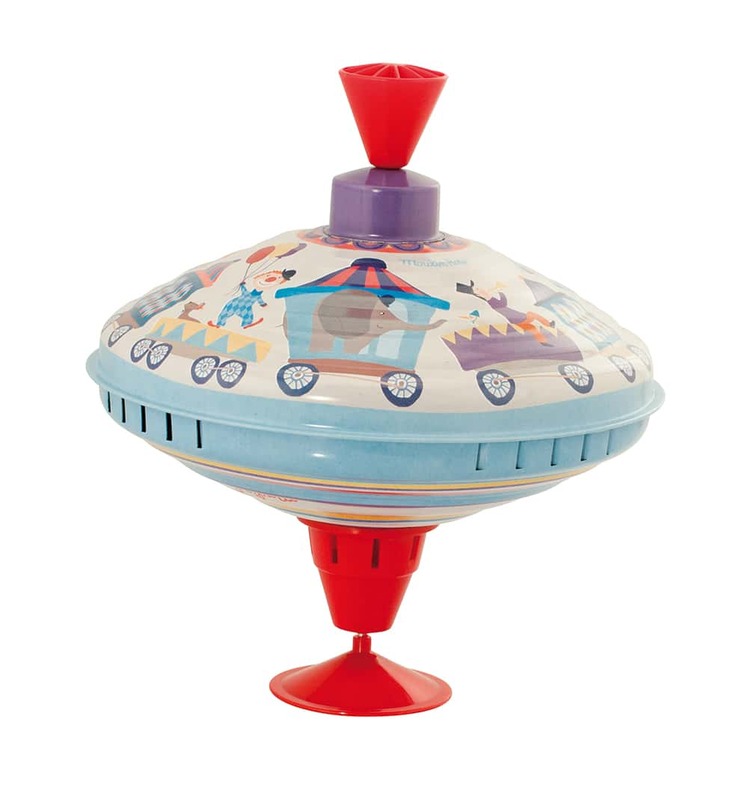 This beautifully designed, large metal top (train) by Moulin Roty will delight your child as they find that by pushing and pulling the handle at the top of the toy, it spins around and they can see an array of brightly coloured illustrations featuring a circus train. 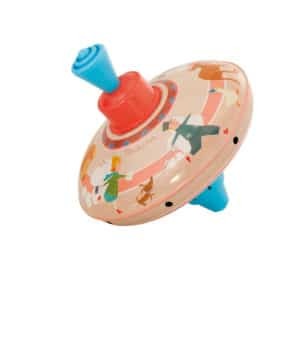 The top has a suction cap base, which allows your child to stabilise the top on the ground as she or he experiments with the handle to create a whirl of action and images. The large metal top is a great toy for visual and sensory development and for developing hand eye coordination. It will also help develop an intuitive understanding of physics – centrifugal force, gravity, balance and spin and allows your child to experience cause and effect as they learn to make the top spin. As your child gets older, you can guide her or him in an exploration of moving toys, asking how it moves, which parts of the toy moves and what action makes it move. 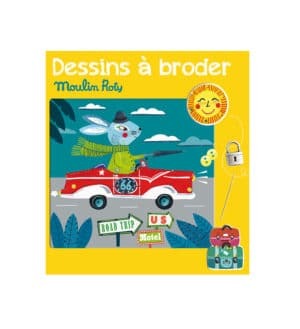 The large metal top (train) is part of Moulin Roty’s Les Jeux range – classic and timeless toys that have been brought up to date. 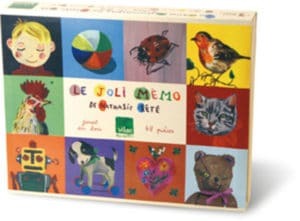 “Yesterday’s toys for Today’s children.” The ‘Les jouets metal’ are high quality, well designed metal toys featuring bright colours and attractive patterns. It comes packaged in an illustrated cardboard box and would make the perfect gift.